I’m really sorry about last time’s challenge. I realise when some of you came along there was no linky to start with, but my pc died and one of my team very kindly stepped in to make the post after my Daughter had emailed her. Thank you Josephine! Hopefully we are back to normal now. 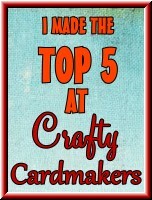 Jackie would like to see the main focal point of your creation be something that is cute and furry. 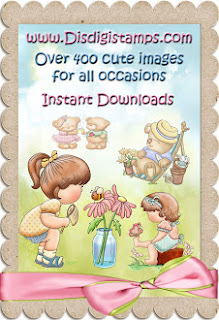 It can be a digi stamp, stamp, photographic image, but must have fur and be cute. 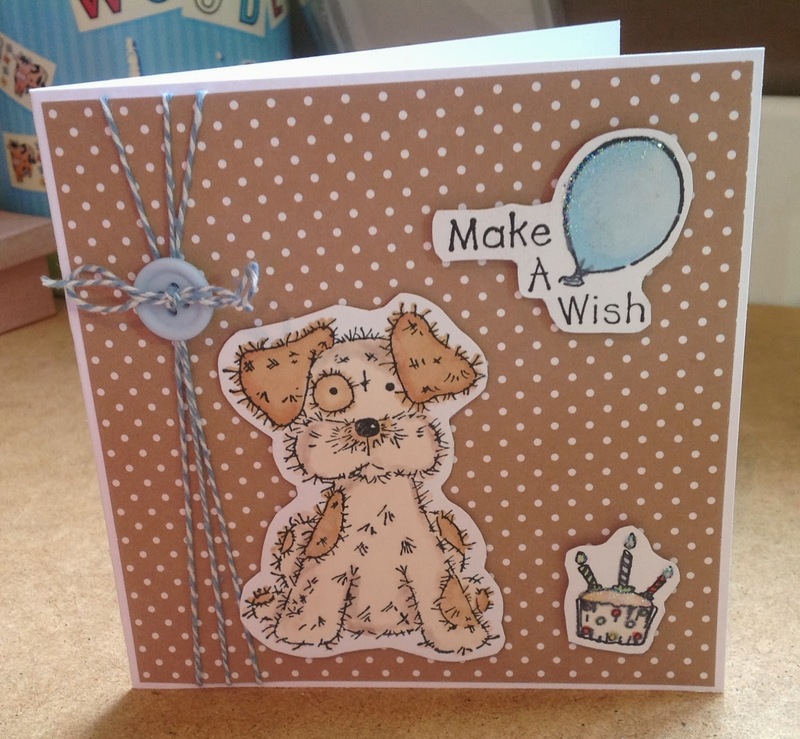 Please ensure the main focal point of your creation is both cute and has fur to qualify for a winner or Top 5 slot. I love this little pup, who comes from the Crafters Companion Moreheads cd range. 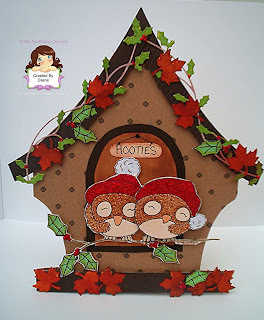 I also used some Docrafts background papers and embellishments from my stash. 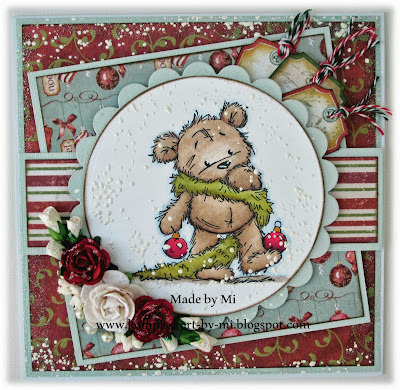 I used a popcorn the Bear image from a Crafters Companion CD for this card. 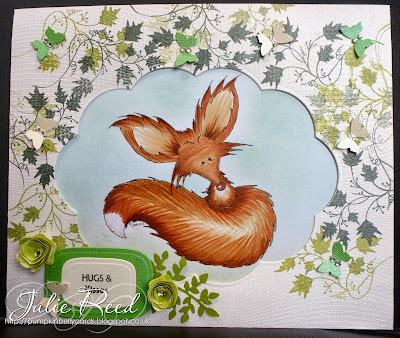 I used this cute Fox by Oak Pond Creations and stamped around the border with Lavinia Stamps to look like he is resting in a little hidey hole. 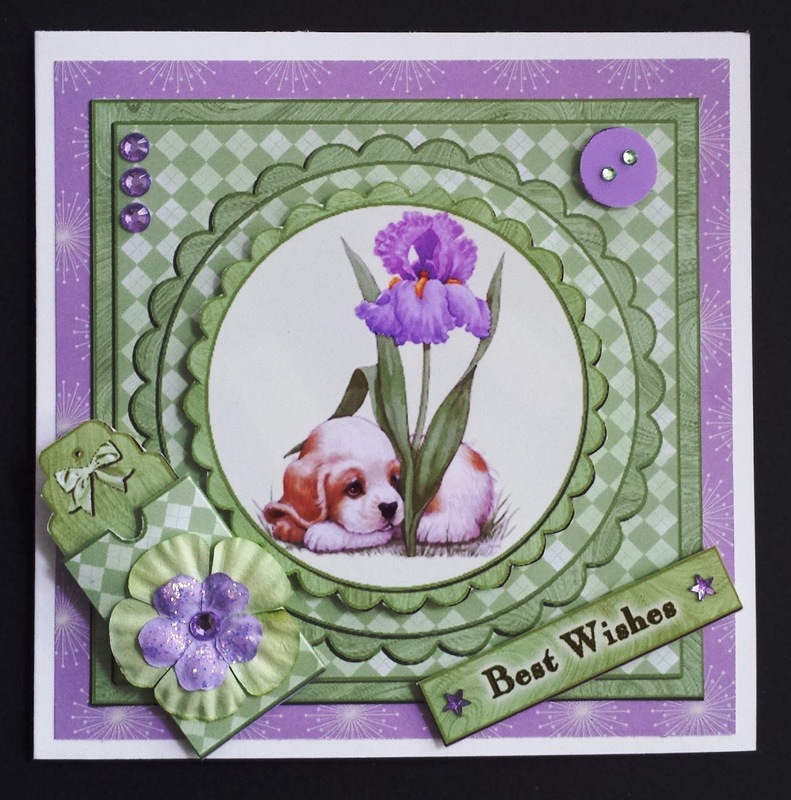 I created my card with a Crafters Companion CDRom, called Party Paws, a couple of footprints and the sentiment created in my graphics program. 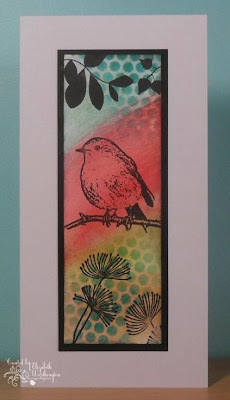 For my card I have used a stamp from the Crafters Companion Mulberry Wood collection which I have coloured with my ProMarkers. My papers are from the Dovecraft "Tea House" pack. 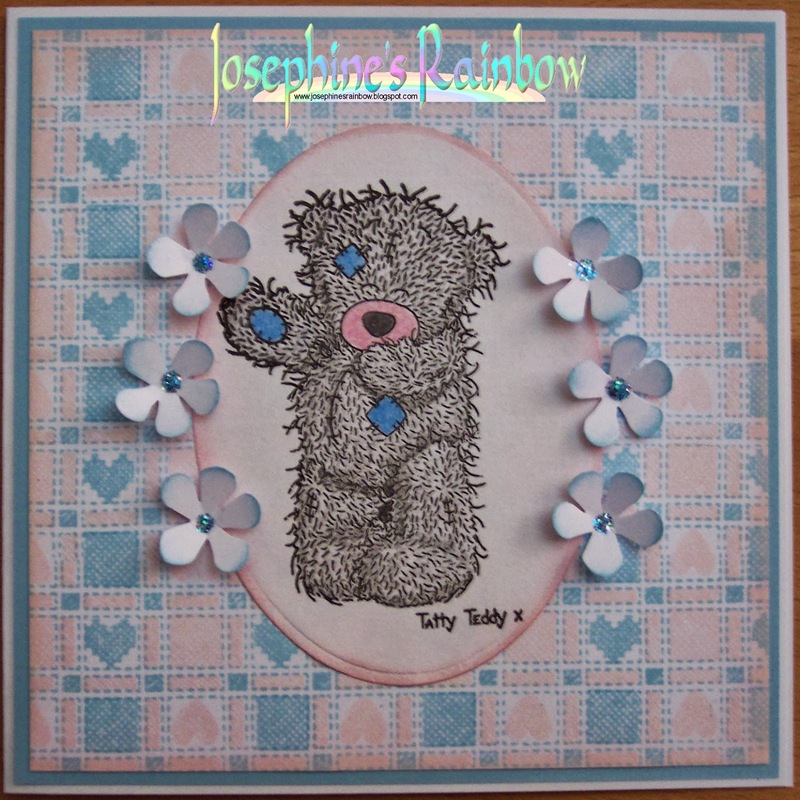 I've done something a bit different and created a baby card using faux fur. The teddy bear shape is simply cut from the fabric with the addition of googly eyes and a felt nose. A pretty bow and brad finish it off. 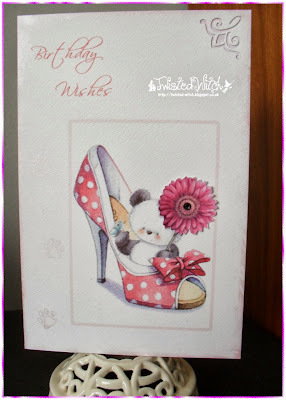 I used a cute Penny Black image for my card. 'Cute and Furry' isn't something I do a lot of, but I finally came up with this image. I coloured it with Coloursoft pencils and edged with Distress Ink. 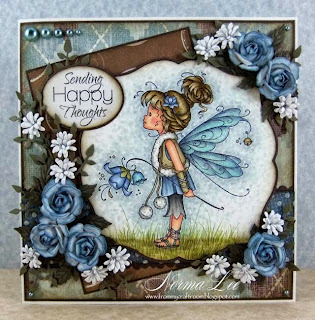 The background is stamped using my newest acquisition - some fabulous background stamps from Inky Doodles! 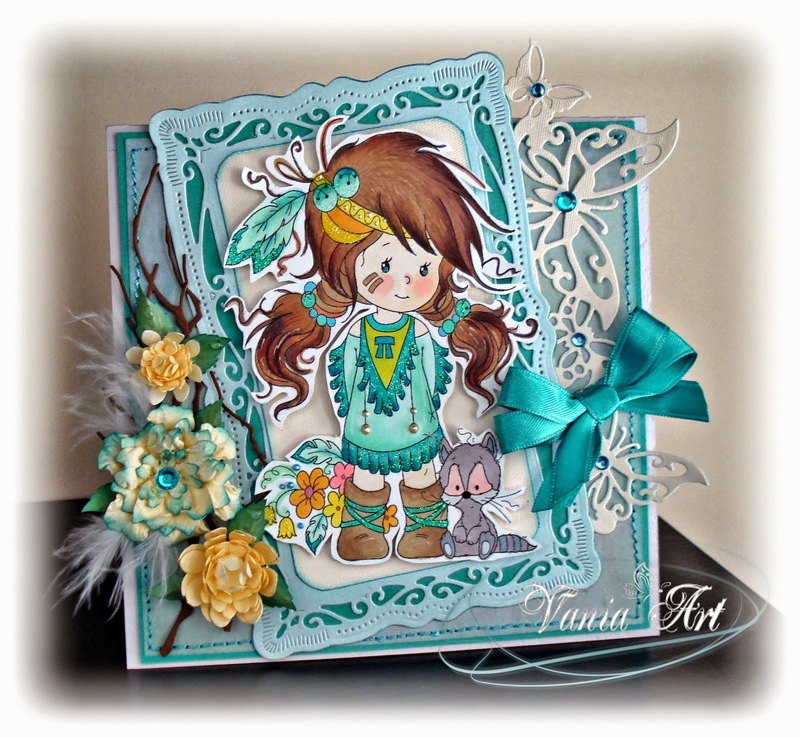 I've used a very cute Fizzy Moon stamp coloured in with ProMarkers. The background is white card embossed with a Forever Friends embossing folder and then inked over with Victorian Velvet Distress Ink. 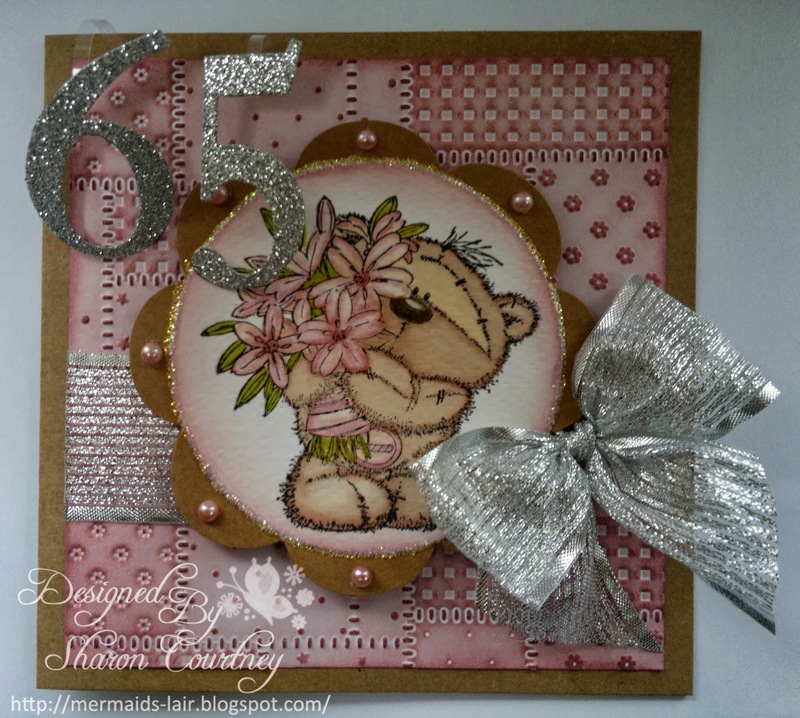 The '65' is cut with a Sizzix die and mounted on acetate to make it 'float'. 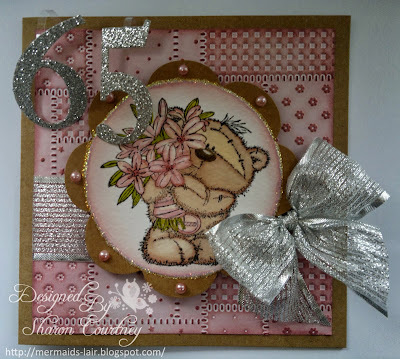 Stickles, pearls, silver ribbon and a large bow complete the card. 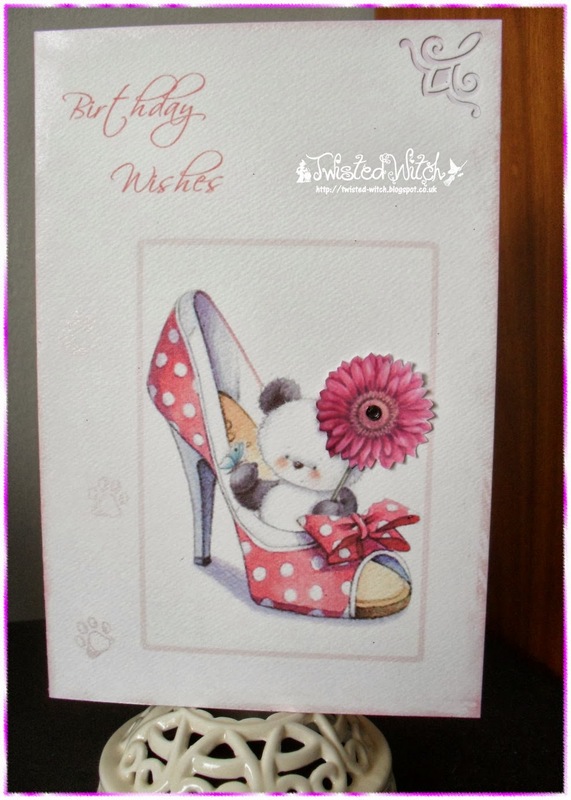 Simple card made using Anna Marie Designs spotty card and stamps by Trimcraft. 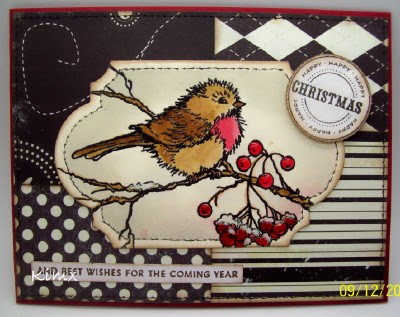 I have used crafters companion decoupage. The flowers are made from flower soft. 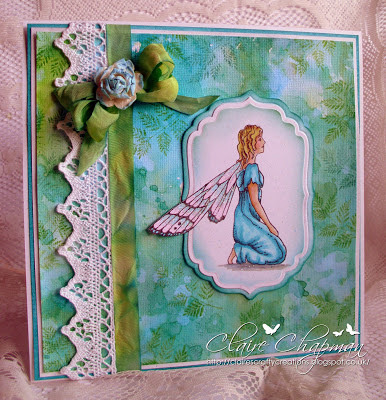 The corner is a Marianne design die and the sentiment stamp is a LOTV. Time to dig out the lovely looking LOTV stamps and especially James the Bear as he is cute and furry. ;) I love this image as it reminds me of how my boys look when they are about to decorate our tree at Christmas. 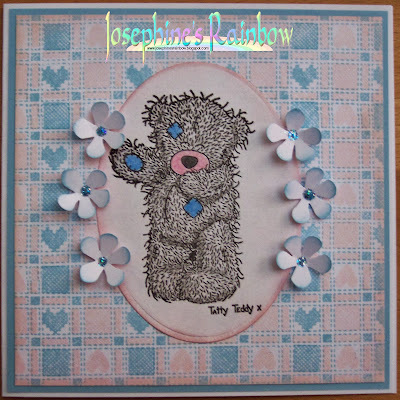 He is coloured with my normal letraset family and the dp's are from Dove Craft. Decorations from WOC. 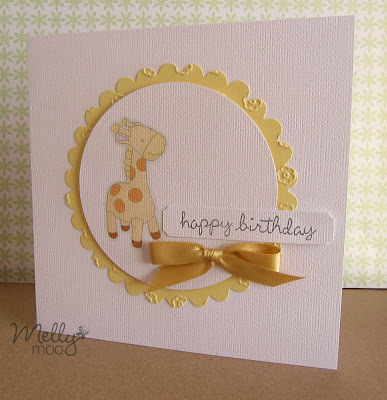 For my card I've used this very cute (and furry) giraffe from Clearly Besotted, simply coloured with Promarkers. My 'Cute and Furry' card is based around the gorgeous 'Parker the Puppy' digi image from Scrapping Memories, coloured with my Promarkers. 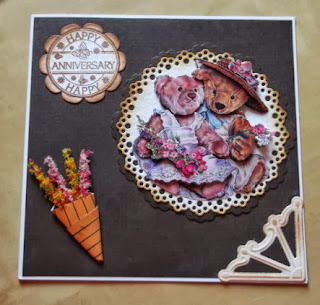 My "Cute and Furry" card was created using Lindsay Mason's "Everyday Cat Purrfect" stamp set and a pawprint stamp all stamped with Onyx Black Versafine ink. 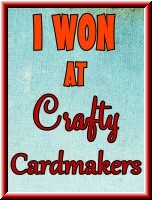 The winners have until 13th October to claim their prize, after which time I am afraid the prize(s) will be forfeit. As we choose our winners, rather than having a random number thingy to pick them it's too difficult and time consuming to go back again and go through the entries to pick out new winners. Neither, sadly do we have time to chase the winners up. # 100 - Winged Things! Welcome to our 100th Challenge! 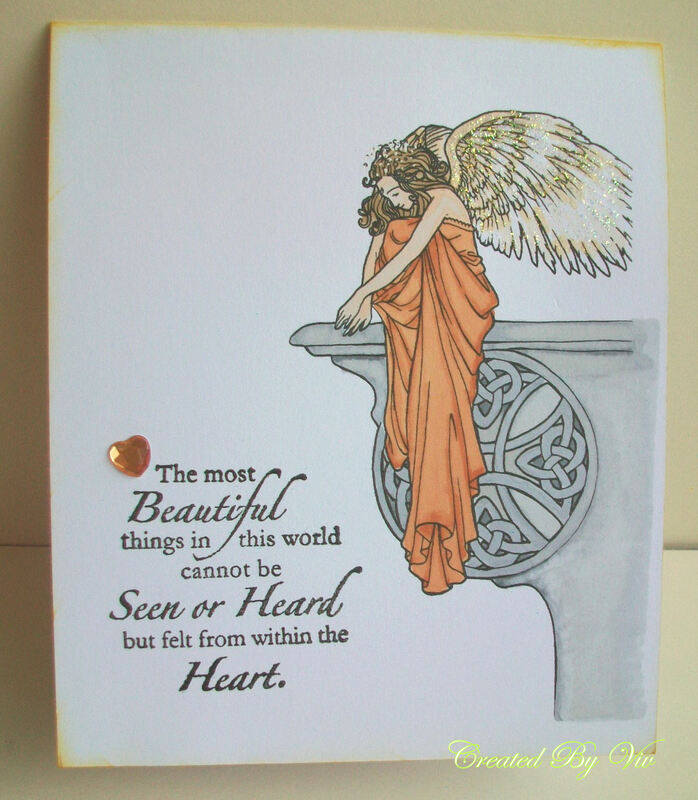 Our theme for you this time around is Winged Things. Firstly I would like to thank Josephine for popping the post up for me yesterday as my PC upped and died early in the morning. I am currently on a borrowed laptop, so thought I would pop in and tidy things up a bit. The linky will be appearing at the bottom of the post and I have added the ones that you have put into the comments section. Sorry for the confusion. 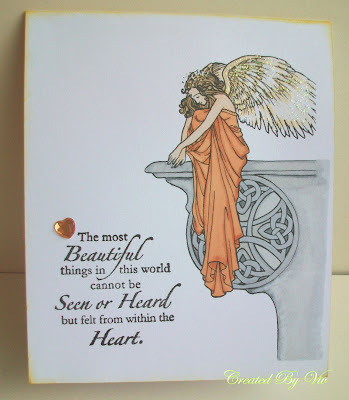 For this challenge we want to see Winged Things; Something with wings as a major focal point. Not a tiny butterly charm, or a small bee in the corner of an image, the wings need to be obviously part of the focal point. 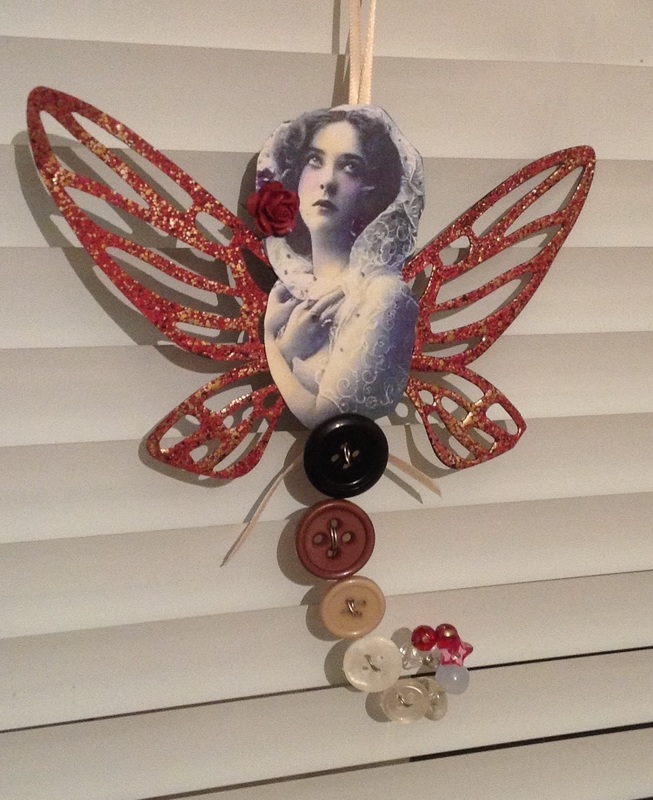 Fairies, angels, LARGE butterflies, birds etc. would qualify. 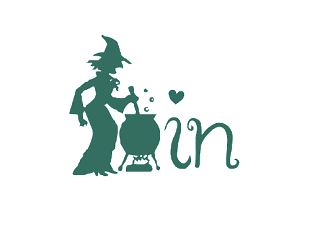 Please check out the team for inspiration. I've die-cut my base card, used a Crafts Too embossing folder and inked over with Distress Ink. I've used stickles glitter to highlight the embossed design, a die-cut sentiment and butterflies. 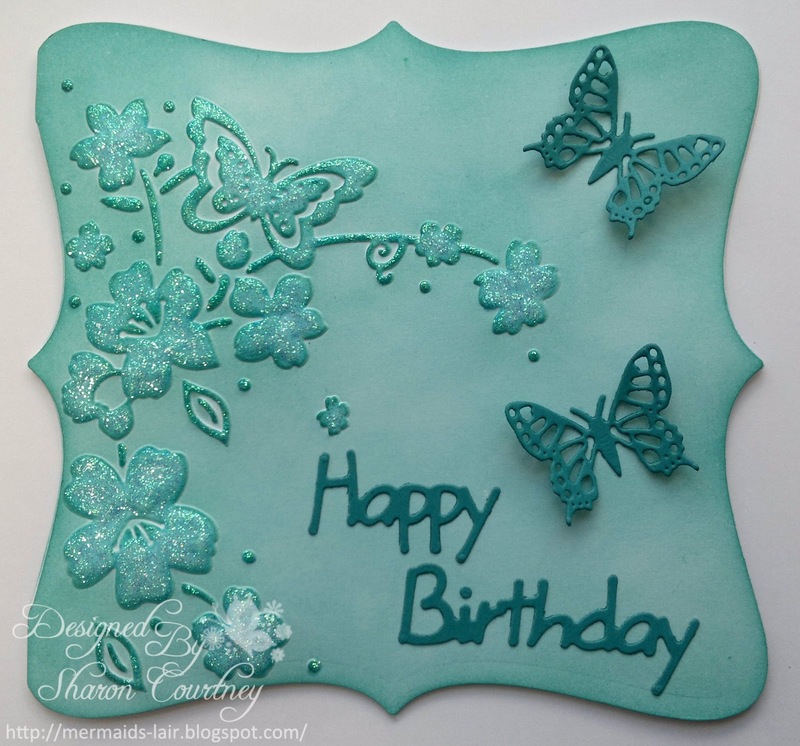 I've made a shadow box's card and used the image from Magnolia Tilda, added some butterflies and bird to decorated the surface of the box. 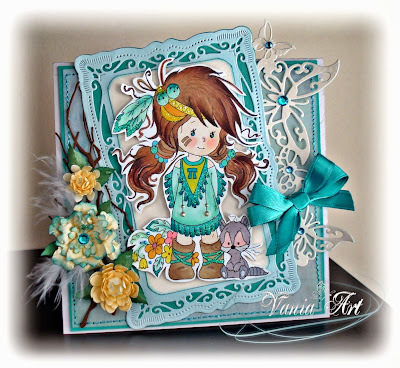 I've used a gorgeous Sara Burrier image available as a digi stamp from Crafts and Me, added the wording in Photoshop Elements, and coloured with Promarkers. 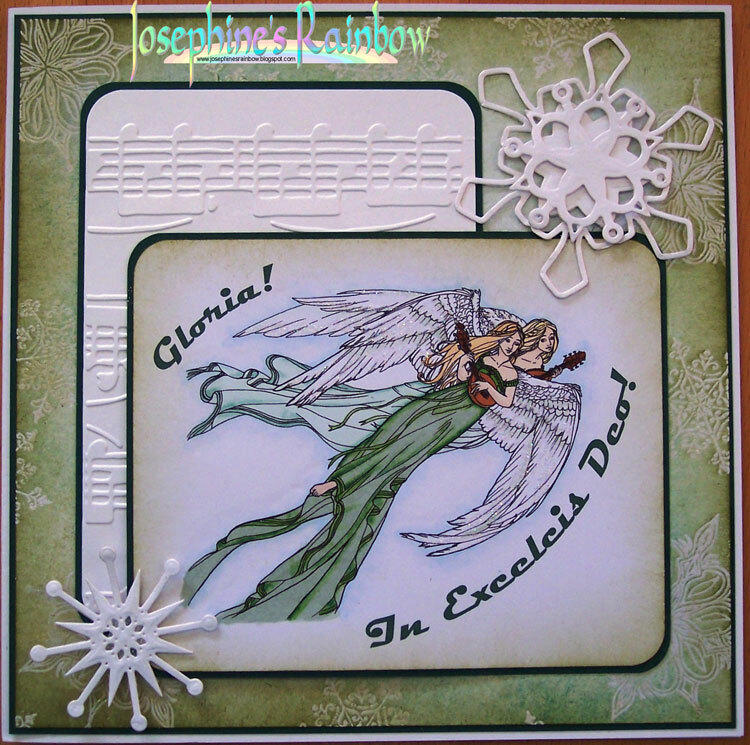 I made the background using holographic embossing powder and Distress Inks, and used a Cuttlebug embossing folder for the music. 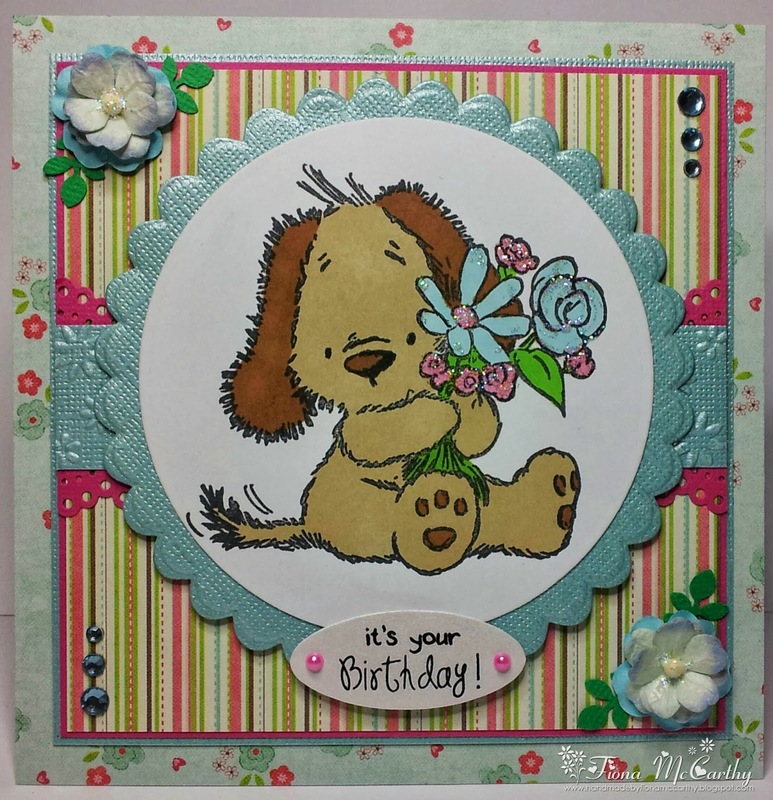 I used Graphics 45 papers to make this card, with a colourful French hen on my focal topper. 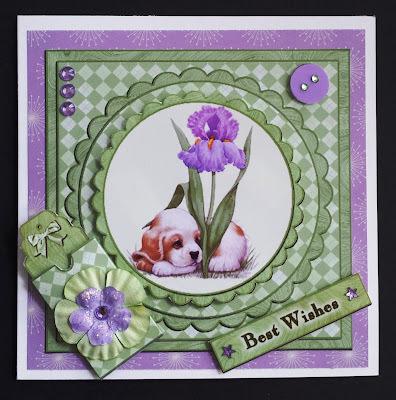 Spellbinders dies and some flowers from Wild Orchid Crafts. I decided to do something a little different - here is my button fairy, made with wired buttons from my stash, a vintage image and wings from the Tim Holtz Fanciful Flight die. As soon as I saw this Woodware stamp I thought it would make a great baby card. I've paper pieced the body of the owl then added some more colour with Promarkers. The sentiment is also Woodware. 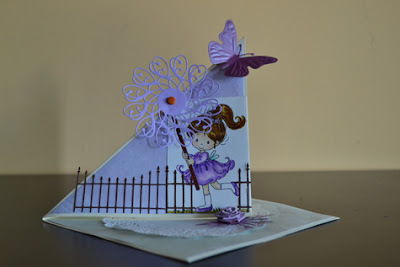 A very simple CAS card. For my card I have used a Whiff of Joy (Elisabeth Bell) stamp called "Melinda with Bouquet" which I have coloured with my ProMarkers. 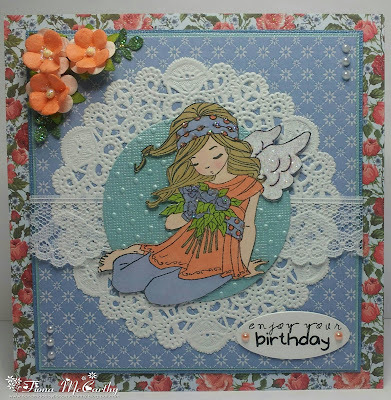 My papers are from Creata and my lace, doily, flowers and pearls are from my stash. A sweet looking little Magnolia Tilda angel is used for this Christmas card of mine. Designer papers are a mix of papers from two Raspberry Road kits and Carta Bella I think. 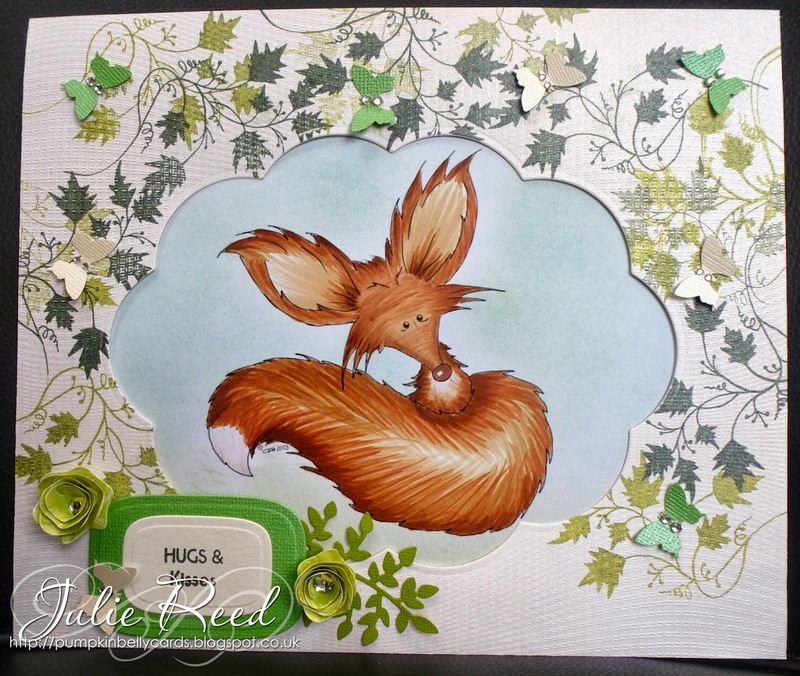 Miss Tilda is coloured with distress inks. 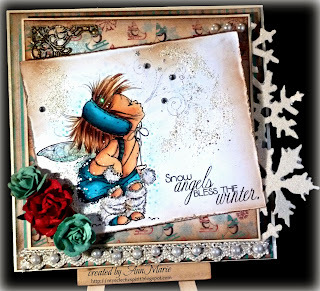 Snowflakes are made with a Whimsy stamp die and the lovely ivy die is from Joanna Sheen. I have used 'Whooo Loves Ya Baby' digi stamp from Scrapping Memories for my card, coloured with Promarkers! I have used an image by CTMH which was stamped with Momento Black ink, then coloured with Copic markers. 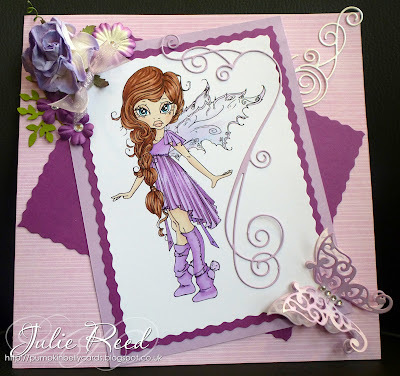 After matting my image on HOTP patterned paper, I added some glitter on the edge. 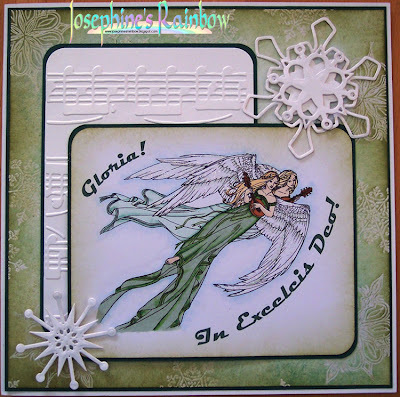 The flittered poinsettia is from Michael's and the stick pins were handmade by me. 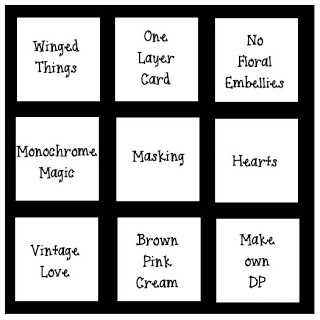 Challenge 100 - Winged Things!